ARQIVA Gateway approved training provider – Provides up to date skills to allow a person to access tall structures safely and perform rescues from height. Group discount available: £145 per candidate for full course of 6 people. Call now us on 01539 728866 to use this offer. 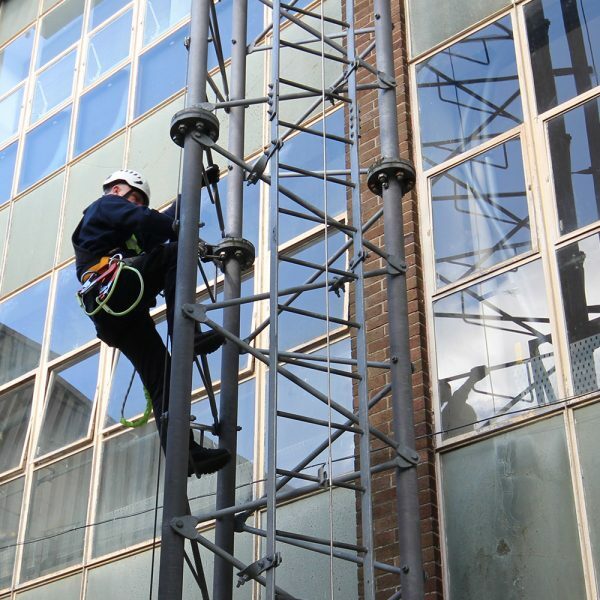 The MATS Initial Basic Tower Climbing and Rescue – Revalidation course is designed as Refresher training for any person required to climb on masts or towers or for existing climbers who wish to renew their tower climbing and rescue certification. Our MATS Initial Basic Tower Climbing and Rescue – Revalidation course reviews all of the essential elements of the three day MATS Initial Basic Tower Climbing & Rescue course, including updates on legislation and codes of practice, observed mock work situation, use of all PPE and practice of live rescue in descent. The course also revalidates a range of skills previously covered by candidates in the tower climbing and rescue course including:- the use of all safety equipment, tower rescue, climbing techniques on ladders and tall structures and restraint, work positioning, and fall arrest systems. Practical exercises with classroom lectures. Emergency procedures are followed by evacuation and rescue which are practised at height. NB: PLEASE NOTE THE TOWER RESCUE ELEMENT WILL REQUIRE REVALIDATION ANNUALLY. Candidates who require RF Hazards training should complete the RF Hazards Awareness & Monitoring 0.5 day course (ref: TSK4U). This course conforms to MATS requirements and is Arqiva approved for the Gateway access scheme. Evidence of previous competence / training will be required prior to booking. Candidates must have a valid in-date heightec climber certificate or equivalent to attend this course. Minimum age 18. Must be fluent in English.